Osteopathy is a drug free non-invasive manual therapy for the diagnosis and treatment of a wide range of neurological and musculoskeletal conditions. Osteopathy works with the patient’s body to help re-establish equilibrium by working on the muscular, ligamentous and bony structures all over the body; not just ‘backs’ or ‘bones’. By using this holistic approach, osteopaths are able to treat a wide variety of conditions throughout the body. Osteopaths use a combination of soft tissue techniques and joint manipulation, together with stretches and exercises to improve posture. This strengthens and stretches the targeted areas to prevent injury and aid recovery. Sports massage is a popular therapy, not only for sportsmen and women, but also for anyone suffering from tension, stress and muscular aches and pains. It improves blood flow to the affected area, reduces tension and encourages the body to repair damage, whether through sporting injuries or repetitive strains. Normally involving a deeper soft tissue massage than other therapeutic methods, sports massage involves techniques to help stretch and strengthen muscles around the joints to prevent future injuries. Sports massage is most often used post-event to aid body repair or to facilitate injury rehabilitation; but it can also be used preventatively before the event to reduce the risk of injury. 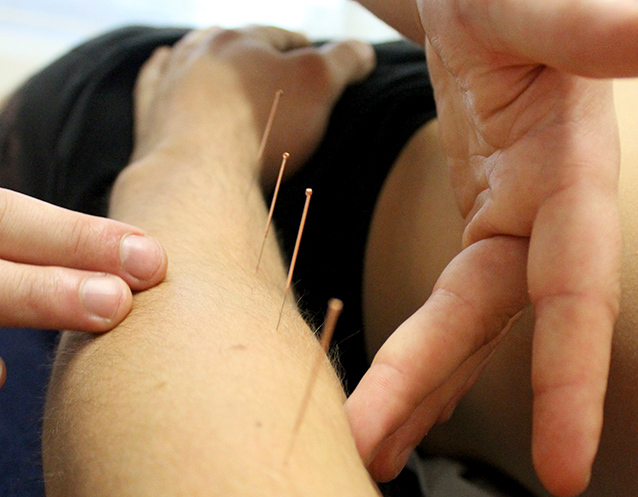 Medical acupuncture involves inserting fine needles into specific trigger points around the body, and works by increasing the blood supply and stimulating the nervous system to aid with pain relief. It is commonly used for a variety of musculoskeletal conditions including: repetitive strain injuries, headaches, shoulder injuries, and tension in the lower and upper back. Used on its own or in conjunction with other treatments, acupuncture is effective in relieving pain and aiding recovery from a variety of conditions. Acupuncture is commonly used alongside conventional medicine, and the National Institute for Health and Clinical Excellence (NICE) recommend it for lower back pain.